Springtime brings many changes to the rangelands of the North Coast. Here at the UC Hopland Research & Extension Center springtime brings on new visions and hopes for the future. 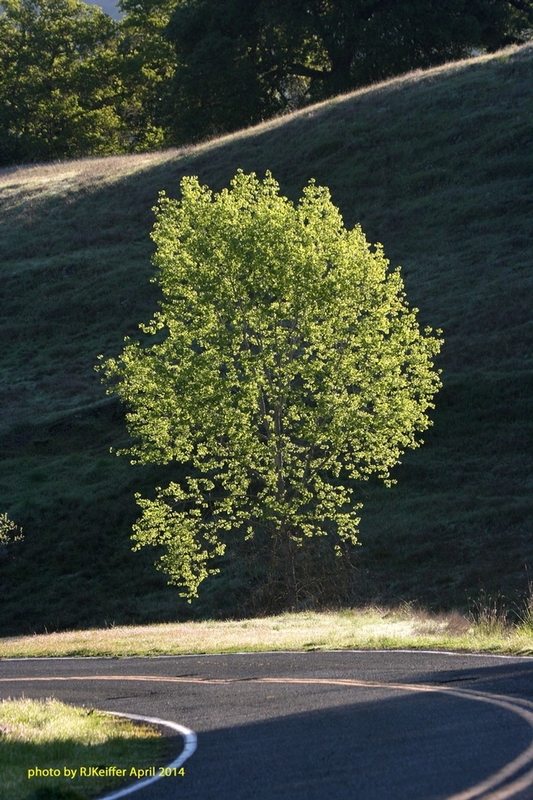 Here you see a Fremont Cottonwood, one that the BLOG has shown a couple times in the past ...but in the fall. Well, the April sunrise through a particular gap in the horizon creates the same "sunlit tree" and "shadowed background" as I see in the fall .... and here it is. There has been a lapse in HREC blogs recently, and I now have a renewed mission of providing new information and photos to the HREC BLOG post in the future.